If you’re spending a date in Tipperary, prepare to be blown away by a multitude of archeological sites and natural wonders. On top of this, there is a plethora of great pubs and restaurants to keep you entertained, whatever the weather. Read our date guide to ensure that you come up with some dating ideas that are guaranteed to impress. Image via Irish Typepad on Flickr. If you’re in County Tipperary – you have to visit the beautiful town of Cahir. The jewel of this quaint town’s crown is Cahir Castle, which is situated on a rocky island in the centre of the river Suir. The backdrop of this castle is the famous Galtee Mountains so it could really be the picture perfect moment if you and your date have a photo together here. Once you’ve finished looking around the castle, why not head to Swiss cottage, which is in Clogheen, just on the edge of Cahir. It’s an ornamental cottage from the Victorian era which was part of Lord and Lady Cahir’s estate – and it was used specifically to entertain guests. It’s now open to visitors as a historic house and museum and is a charming and romantic little place, decorated with Parisian wallpaper and antique furniture. This place transports you into a different world and makes you feel like you’re stepping back in time. Who knows – maybe for a moment you’ll feel like the Lord and Lady of this special little cottage? Image via Kevin Lawver on Flickr. One of the most iconic sights in Ireland is the Rock of Cashel, located at the heart of Tipperary. This is the ideal place to explore during a daytime date. It’s a historic site with an incredible collection of medieval architecture and celtic art. There’s a round tower, a chapel, a cathedral and a Irish High Cross, to name a few of the highlights. The site is huge, unique and there’s nowhere else in the world like it – take a day to discover this area of rural Irish countryside whilst bonding with your date over tales of the past. Image via Sean MacEntee on Flickr. Chez Hans in Cashel is an ideal spot for special occasions. It has great ambience and you can have pre-dinner drinks at the bar area and browse the menu before walking through to your table. The presentation is pure perfection and you’ll definitely notice the attention to detail that the staff put in. There’s something for everyone here and top dishes include rack of herb crusted Tipperary spring lamb with ratatouille, crispy duck confit with red cabbage and pan fried dingle hake with chorizo potatoes. Image via jameswhelanbutches.com on Flickr. For a casual date with a difference, why not head underground? The Mitchelstown Caves in Tipperary offer a unique opportunity to explore Ireland from below. The limestone caves have nearly 3km of passageways and incredible hidden chambers. You can go on a 30 minute guided tour, no matter what time of year it is. Prepare to be amazed! Image via Jeremy Sharp on Flickr. Archery and Zorbing For an Adventurous Date! 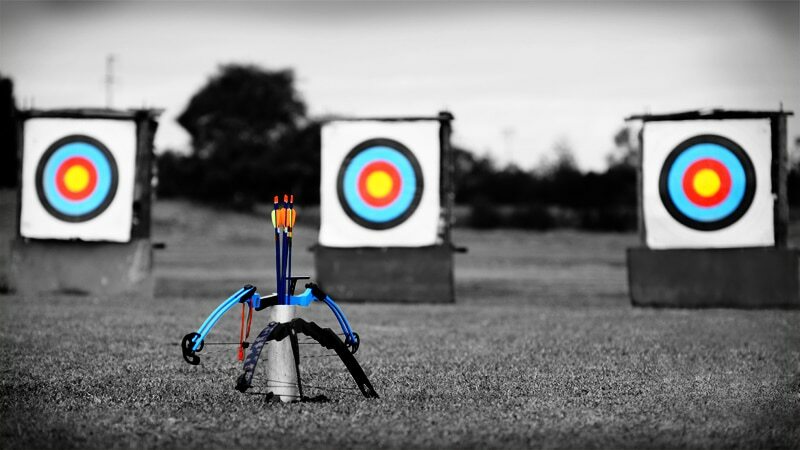 If you fancy yourself as the modern day Robin Hood, you should had to Galtee Valley Xtreme Adventures in Cahir and try your hand at archery. It’s only €12.50 per person and the experienced staff will give you tips and help you to hit the bulls eye in no time. Whilst you’re at this adventure centre – you can also try other activities such as zorbing (rolling downhill in a transparent orb), sniper shooting, radio controlled cars, and an obstacle course. So grab your bow and your competitive spirit and get ready for an adrenaline-filled date! Image via jcyaustralia on Flickr.